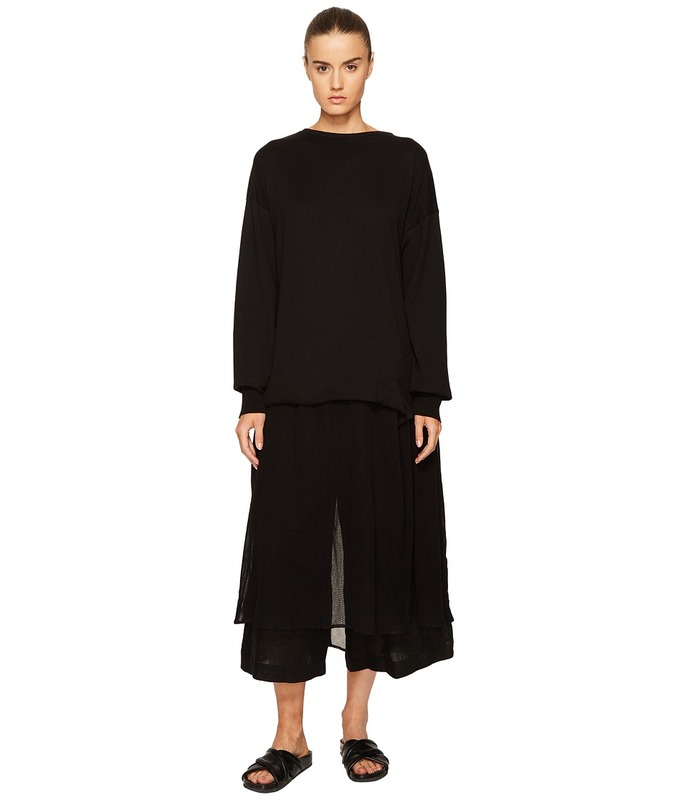 Individuality is always in style in this Y~s by Yohji Yamamoto U-Pullover Sheer Bottom Dress. Relaxed fit. Boat neckline. Slip-on style. Long sleeves with ribbed cuffs. 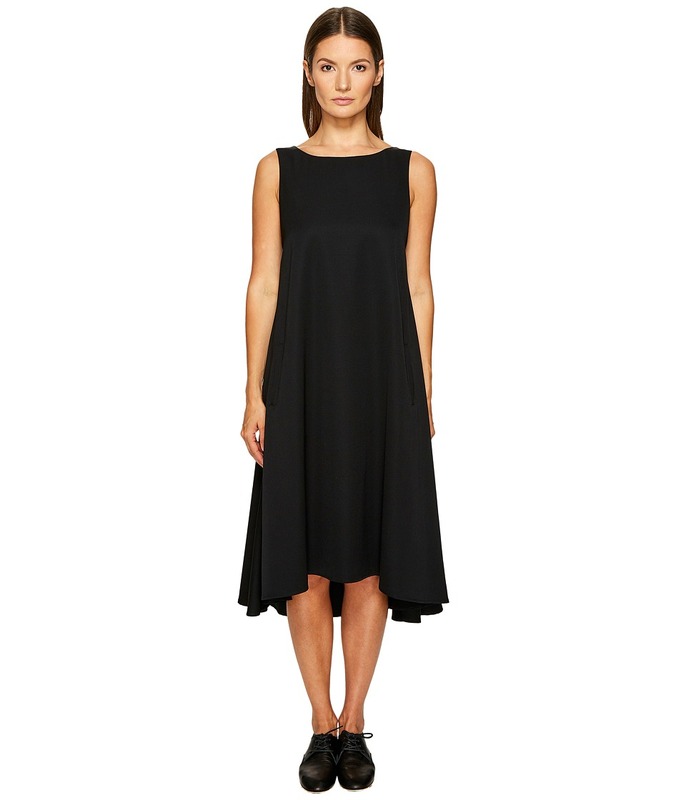 Asymmetrical hemline. 100 percent cotton. Hand wash cold, lay flat in shade. Made in Japan. This item may ship with an attached security tag. Merchandise returned without the original security tag attached or a damaged tag may not qualify for a refund. Measurements: Length: 54 in Product measurements were taken using size 1 (XS). Please note that measurements may vary by size. 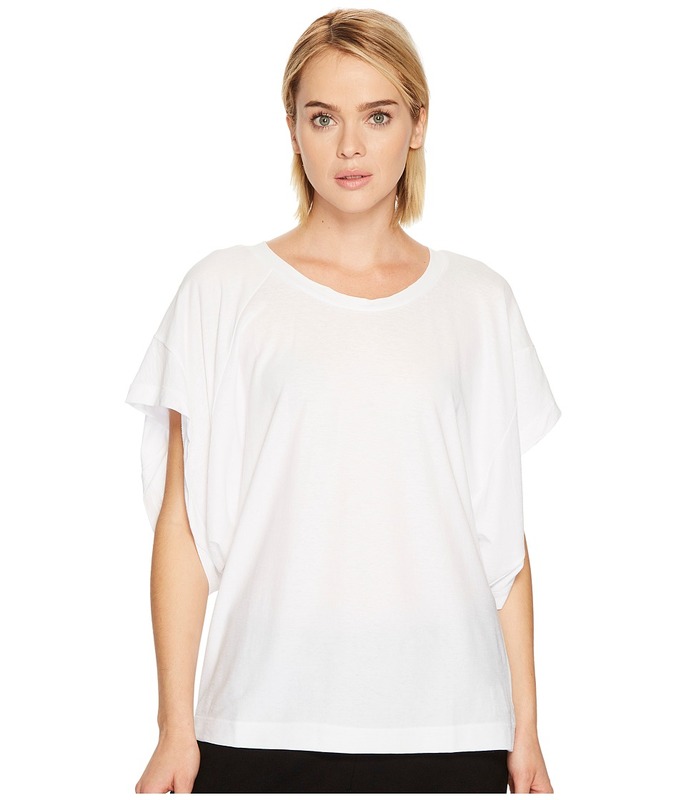 Your styling possibilities are endless wearing the Y~s by Yohji Yamamoto N-Kimono Sleeve Twist Tee. Crew neckline. Short kimono sleeves. Pull-on construction. Straight hemline. 100 percent cotton. Hand wash cold, dry flat in shade. Made in Japan. This item may ship with an attached security tag. Merchandise returned without the original security tag attached or a damaged tag may not qualify for a refund. Measurements: Length: 27 in Product measurements were taken using size 2 (MD). Please note that measurements may vary by size. 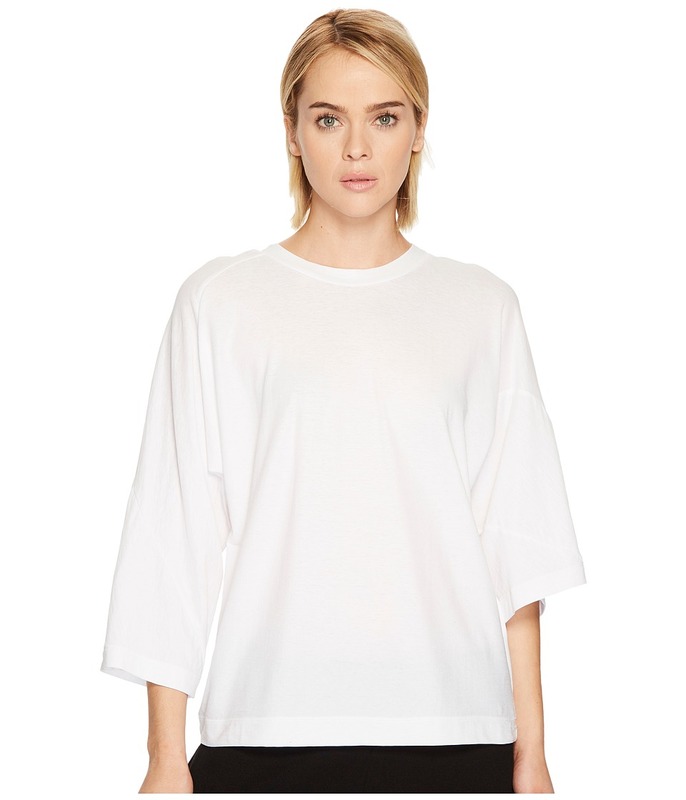 Take on a new form of style wearing the Y~s by Yohji Yamamoto 3/4 Sleeve Twist Tee. Crew neckline. Three-quarter sleeves. Twist detail at sides. Pull-on construction. Straight hemline. 100 percent cotton. Hand wash cold, dry flat in shade. Made in Japan. This item may ship with an attached security tag. Merchandise returned without the original security tag attached or a damaged tag may not qualify for a refund. Measurements: Length: 23 in Product measurements were taken using size 2 (MD). Please note that measurements may vary by size. 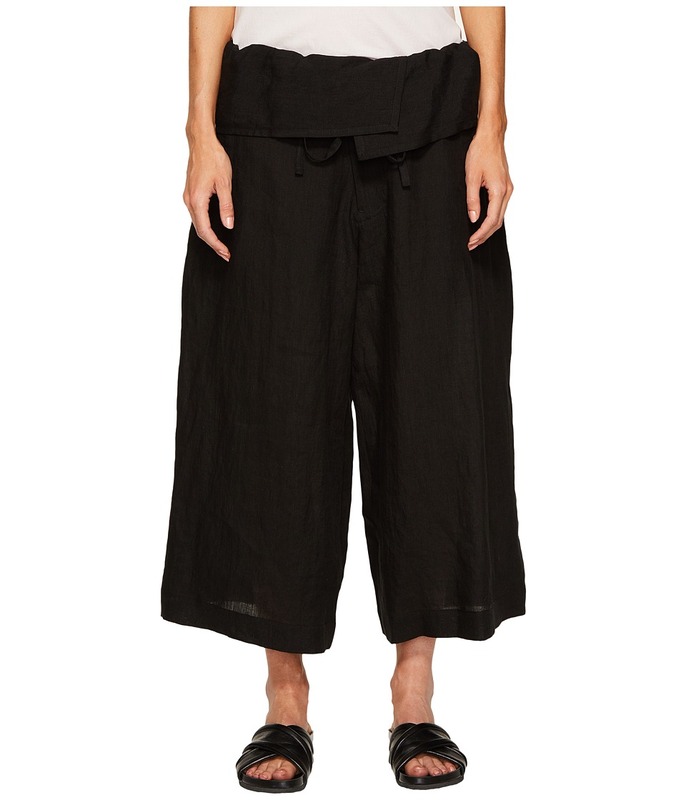 Enjoy what the day has to bring in the fashionable Y~s by Yohji Yamamoto U-Waist Fold-Over Pants. Oversized pants. Folded over waist with drawstring ties. Zipper fly. Side hand pockets. Cropped hem. 100 percent linen. Professional dry clean only. Made in Japan. This item may ship with an attached security tag. Merchandise returned without the original security tag attached or a damaged tag may not qualify for a refund. Measurements: Waist Measurement: 42 in Outseam: 33 in Inseam: 22 in Front Rise: 11 in Back Rise: 16 1 2 in Leg Opening: 28 in Product measurements were taken using size 2 (MD). Please note that measurements may vary by size. 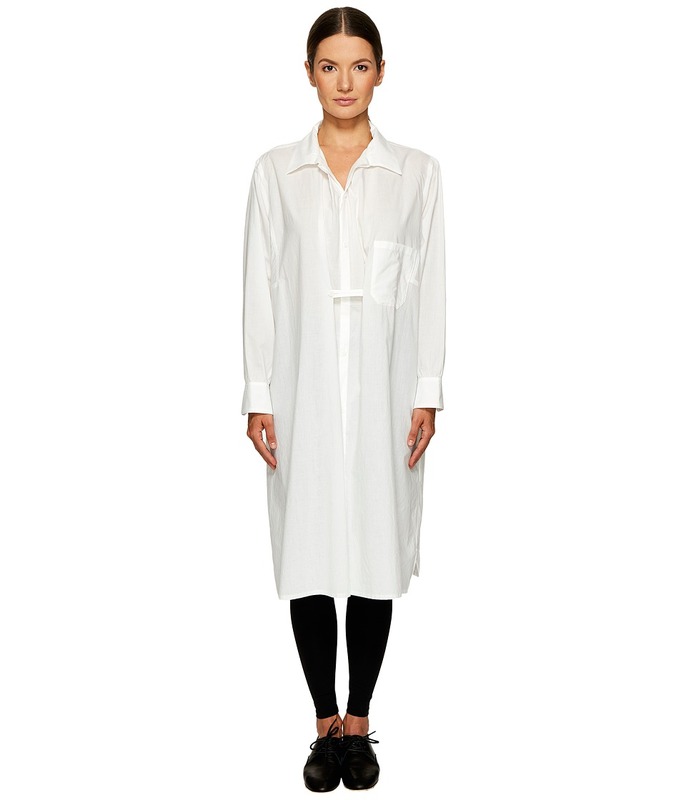 Bring an artist infusion to your wardrobe wearing the Y~s by Yohji Yamamoto Tab Shirtdress. Point collar. Long sleeves with button cuffs. Front button-up closure with single button tab closure. Chest patch pocket. Side vents. Straight hemline. 100 percent cotton. Hand wash cold, dry flat. Made in Japan. This item may ship with an attached security tag. Merchandise returned without the original security tag attached or a damaged tag may not qualify for a refund. Measurements: Length: 42 in Product measurements were taken using size 2 (MD). Please note that measurements may vary by size. 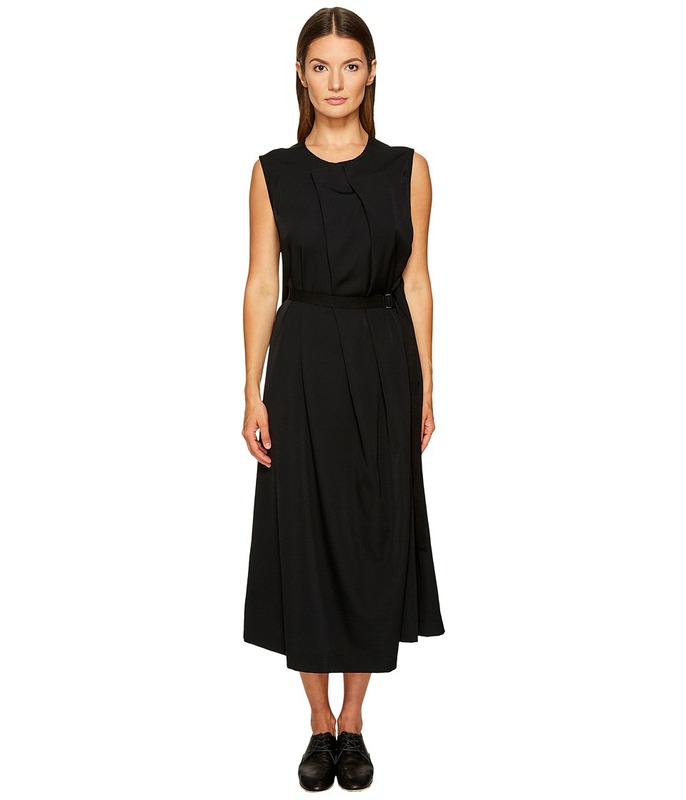 Divulge your stylish and worldly expertise wearing the Y~s by Yohji Yamamoto Pleats Long Dress. A-line silhouette. Jewel neckline. Sleeveless. Hidden front double snap closure. Attached adjustable waist belt. Pleated detail at front. Straight hemline. 100 percent wool. Professional dry clean only. Made in Japan. This item may ship with an attached security tag. Merchandise returned without the original security tag attached or a damaged tag may not qualify for a refund. Measurements: Length: 44 in Product measurements were taken using size 1 (XS). Please note that measurements may vary by size. 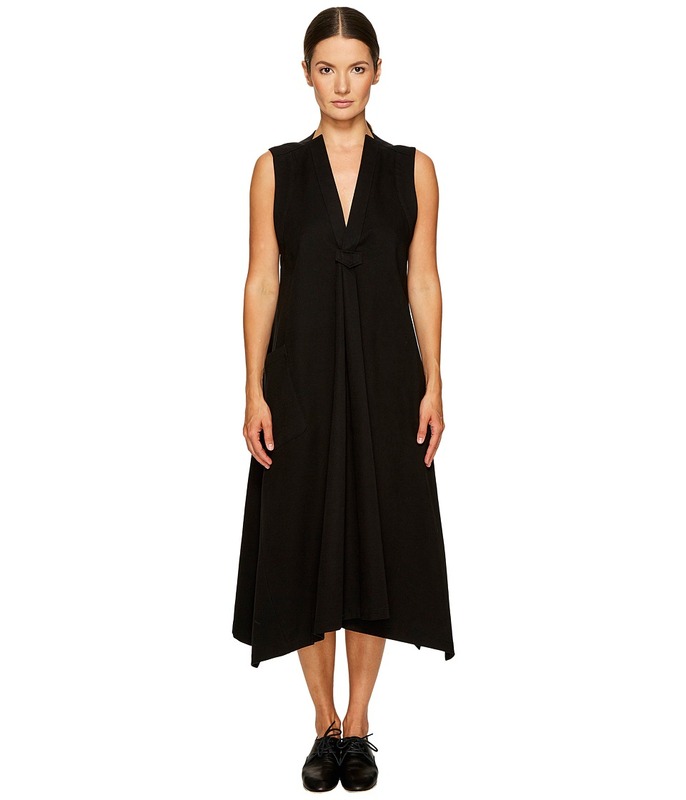 Set a languid pace for the day in the stylishly comfortable Y~s by Yohji Yamamoto V-Back Dress. A-line silhouette. Jewel neckline. Sleeveless. Back zip closure. Side hand pockets. High-low hemline. 100 percent wool. 100 percent cupro. Professional dry clean only. Made in Japan. This item may ship with an attached security tag. Merchandise returned without the original security tag attached or a damaged tag may not qualify for a refund. Measurements: Length: 45 in Product measurements were taken using size 1 (XS). Please note that measurements may vary by size. 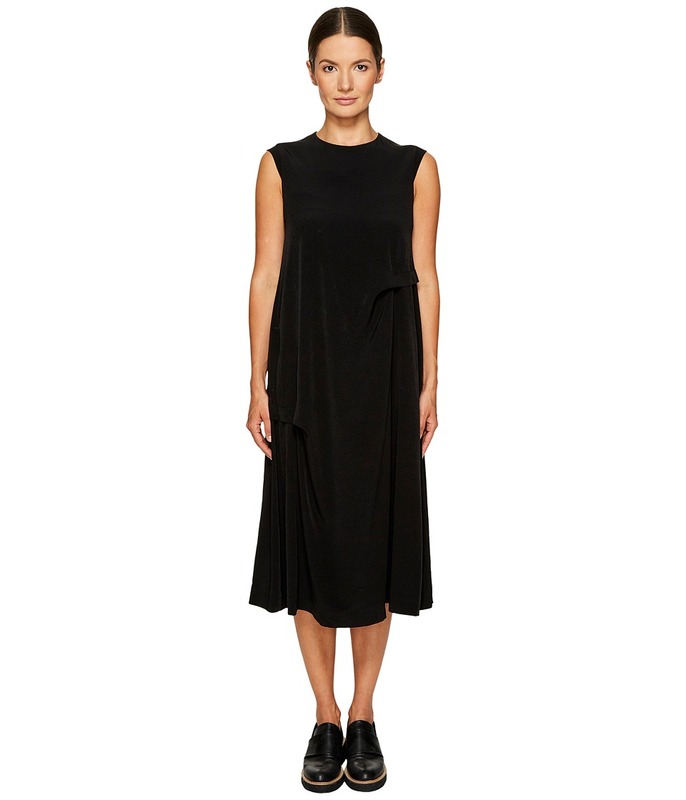 Lift the veil and reveal your fashion secrets wearing the Y~s by Yohji Yamamoto Side Tuck Sleeveless Dress. Shift silhouette. Jewel neckline. Sleeveless. Back zip closure. Tucked detail at front. Straight hemline. 57 percent triacetate, 43 percent polyester. Professional dry clean only. Made in Japan. This item may ship with an attached security tag. Merchandise returned without the original security tag attached or a damaged tag may not qualify for a refund. Measurements: Length: 45 in Product measurements were taken using size 1 (XS). Please note that measurements may vary by size.